Rumors of last click’s death have been greatly exaggerated. For most of the past decade, various industry commentators have said it’s a model that underestimates the complexity of multiple digital touchpoints an average consumer may have on their way to purchase. For affiliate marketers this can be confusing. Last click is what our business is based on; without it what are we left with? More often than not, this confusion is from a misunderstanding of what ‘last click is dead’ really means. First off, last click wins – when the last referring marketing channel is credited for the sale – is a commercial model for the affiliate channel. Without it affiliates don’t get paid. But if other paid-for-marketing channels are involved, they still incur a cost. Under this model, to actively run an affiliate program you are basically saying you’re comfortable with this concept. But very often when people talk about last click’s demise, they mean it’s not a good way to define measurement and contribution – two very different things. To better understand, it’s important to consider what advertisers are trying to measure. Certainly sales, and that’s easy. But advertisers also want to assess where their money is best spent and generating the biggest bang for their buck. That in itself can mean different things to different advertisers. For new retailers this may just be sales, but for more mature businesses it could be a certain type of customer. Because of this, combining post-transaction customer data (frequency of purchase, length of phone contract, upsold add-ons, etc.) with pre-transaction information shows we need to measure more than just a sale. This is one of the reasons it’s often easy to resort to last click as a measurement function. As soon as the ideal advertiser outcome is agreed upon, piecing together the required data can be a significant project on its own. Many advertisers are far down the path of allocating budget on informed spend, but typically for the affiliate channel it comes down to numbers on a spreadsheet. 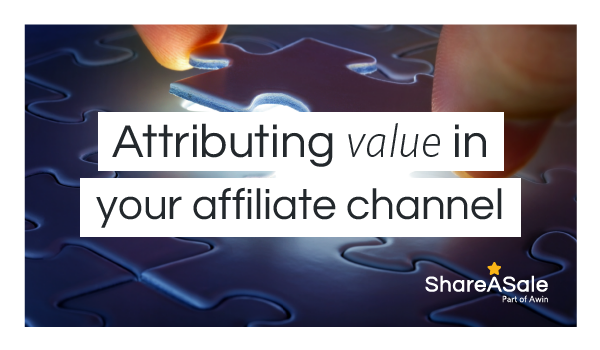 For those working in the channel this can be frustrating as we try to show how valuable affiliate sales can be. At a basic level we can look at another measurement alongside sales: clicks and impressions. For affiliates, this is interesting because while other channels may say credit for sales they contribute to is ignored (while still getting paid for their activity), historically affiliates have really never promoted anything that isn’t rewarded by the conversion. Recognizing influence: some retailers have started paying for early funnel contribution. This could be in the form of ‘top up’ payments for affiliates heavily influencing, but not converting the final sale. Latency: how close are non-converting affiliates to the sale? 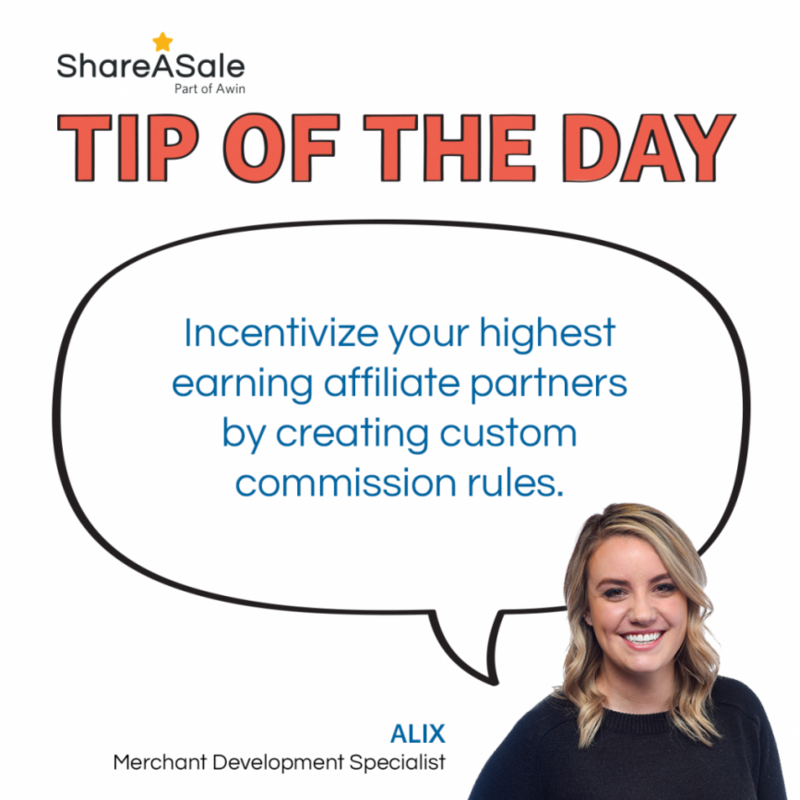 By viewing the entire clickstream data leading up to a say, we can explore if one affiliate’s content drove someone to another converting affiliate in the space of a few minutes, suggesting that both were important in converting the sale. By totaling up this contribution, a brand could offer an additional payment or reduce commissions overall for those affiliates who are overwriting all others, freeing up budget to reward others. New vs. existing: As mentioned, many advertisers are looking at qualitative rather than just quantitative measurement. If one affiliate drives 100 customers and 10 are new, is this as valuable as another affiliate who drives 15, of which eight are new? Clearly the latter is less valuable for overall revenue, but is a much better fit for an advertiser’s campaign target. Knowing this information can help a merchant place value on specific transactions and therefore, individual affiliates. Other data points: Many advertisers have an ideal customer they want to attract. It may be based on demographics or it may be to understand what affiliates are best suited to targeting these shoppers. Just because networks have typically not tracked this information, it doesn’t mean they can’t. 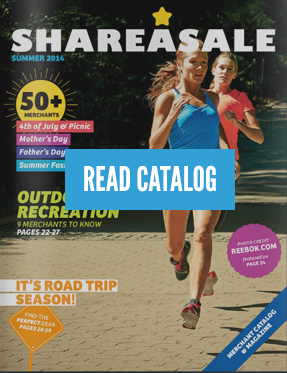 With ShareASale’s Conversion Lines Tool, we are able to help you track anything you dictate as the most important data, helping place value on your individual affiliates and ultimately, your overall program success. 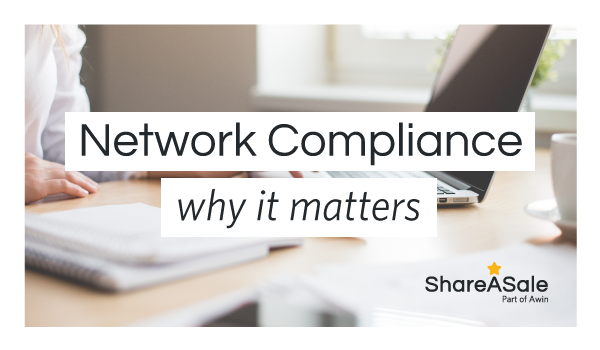 Despite its importance, compliance an often overlooked function by affiliate marketing network members, operating quietly behind the scenes. 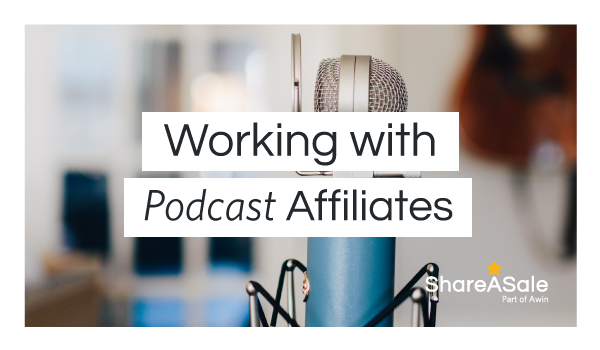 That’s why we want to shed light on its role and how it contributes to the development of the channel… cementing affiliate marketing as an activity advertisers can confidently invest in.